It may be hard for a young man to get into the world of business, but it may be as hard, or even harder, to follow the rules this world demands. Especially if your entire closet is full of casual T-shirts and blue denim jeans. Here are some simple rules you should follow and give your wardrobe a complete makeover into 9 to 5 style. The first rule of business is to own a lot of white and blue shirts. Especially at the beginning while you are still exploring your style and experimenting with colours. You simply cannot go wrong with white and blue. When it comes to Casual Fridays, which almost any company today incorporates to chill down a bit, you can replace your shirt with a polo shirt as well. Forget about (ultra casual) fashion trends in the world of business. 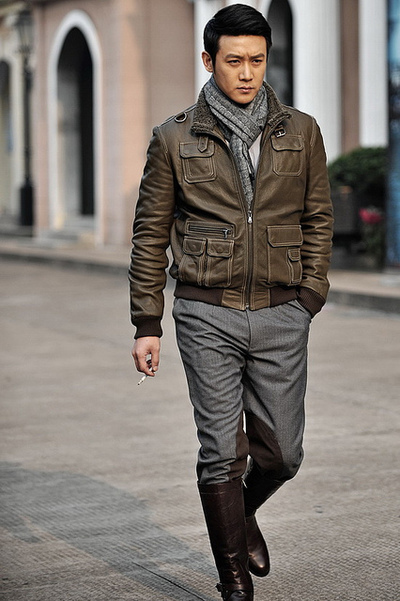 Except for very casual Fridays, when dark fitted jeans are allowed, trousers are a day to day must have. No matter the colour, trousers can be easily combined with buttoned shirts and are very thankful for meetings, so make sure to have a couple of classically styled trousers in your closet. Whether you liked it or not, you are going to look (a bit) older in them, but as it turns out – you will get a significant portion of respect in return. We have come to your toes, that is feet. 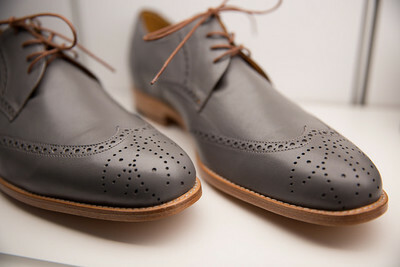 Forget about casual sneakers, because it is high time you find appropriate footwear for your office. Since there are some people who (still) judge a man by his shoes, you have to pay special attention to your footwear. And brace yourself, because they are going to be expensive. If you want to get the best fit, you can have them handcrafted and enjoy the comfort in every step you make. And what is best about leather shoes is that they are going to last for years, so that little investment will eventually pay off. And last, but not the least, what every businessman must have is – a suit. As it turns out, nobody will take you seriously unless you suit up. Especially in important meetings or when meeting foreign clients. There are two options you can go for to get (at least) one: a classic black trousers and jacket in combination with different ties, which you can easily get in a clothes shop, or hiring someone to make one perfect fit just for your size. You can also choose custom tailored suits online and have the most perfect suit made according to the size of your every limb and bone. And finally, do not forget that once of the crucial things businessmen have is the attitude. Of course, you do not have to look strict when you are not, but if you add a touch of mystery in your look and have a firm handshake, anyone would like to become your partner.